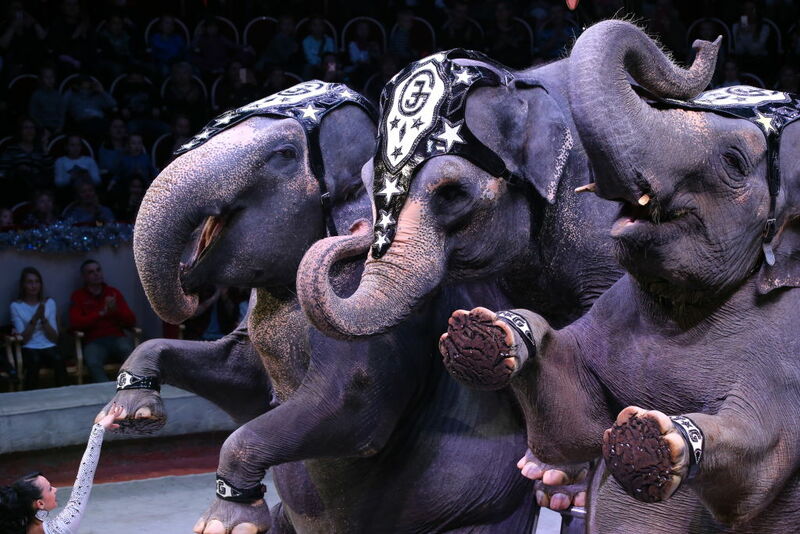 The British government have finally announced circus animals will be banned from performances. 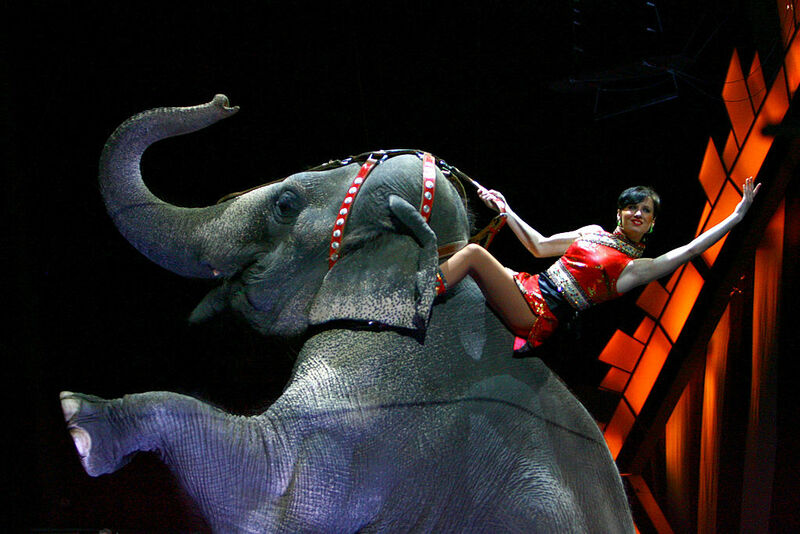 The move is hoped to combat the widespread maltreatment of circus animals, from unsanitary conditions to forced labour through punishment, starvation and incarceration. The remaining 19 beasts currently entertaining crowds include six reindeer, four zebras, three camels, three raccoons, a zebu cattle, a macaw and a fox. Over half of UK local authorities already refused to allow circuses which utilised animals to perform in their boroughs and more than 40 different countries around the world, including most of Europe, Latin America and several Asian countries, had outlawed the practice. “The Government intends to ensure a legislative ban on the use of wild animals in travelling circuses is in place by the time the Regulations expire in January 2020. The current regulations expire on 19 January 2020. 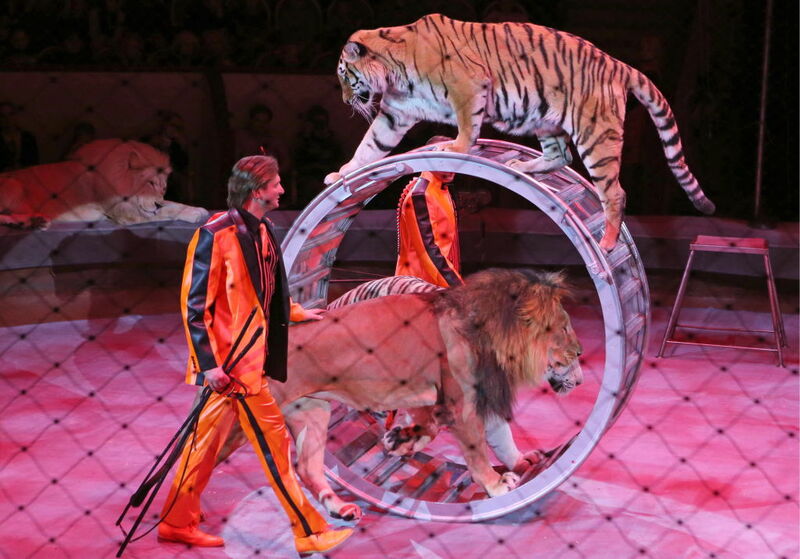 “We remain absolute in our commitment to banning wild animals in circuses and intend to introduce the ban prior to the regulations expiring in January 2020. However, as the issue is devolved, the ban will only apply in England and not in Northern Ireland or Wales. “This announcement gives circuses a clear two-year warning that no more licences will be issued and after that there will be a ban on wild animals in circuses. Nowadays, it’s quite unsettling to see photographs from circus shows which demand elephants stand on their hind legs, tigers jump through hoops of flames and lions beg like domestic pets at events such as The Moscow State Circus, orchestrated by animal taming brothers, Edgard and Askold Zapashny. 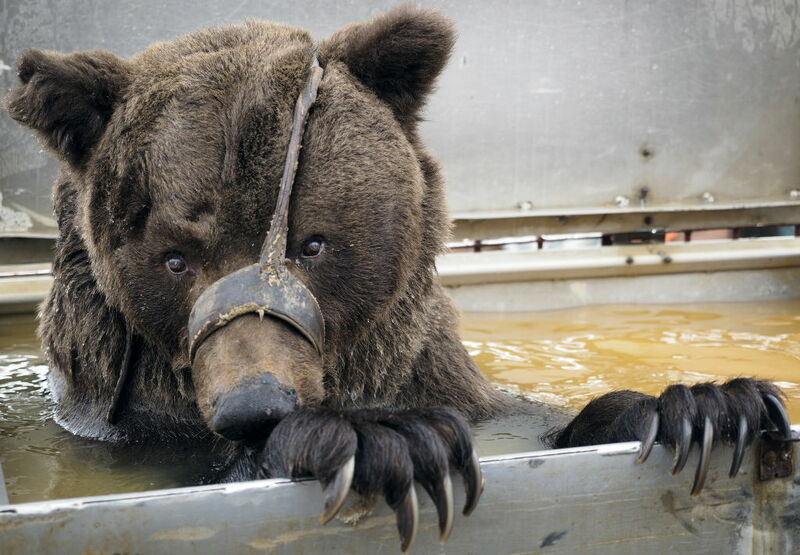 Behind the scenes investigations show the animals – owned by showmen like these – from wild stallions to grizzly bears and zebra, kept in cages, behind the glitz and glamour. Meanwhile, animal rights campaigners welcome this small step to protect the safety of circus animals and are looking for means to rehabilitate the innocent creatures. “PETA welcomes the news the government has finally committed to a ban on wild-animal circuses – but it’s overdue already and shouldn’t have to wait until 2020. Also, we heard this kind of hedged promise before when David Cameron assured us – after more than 94 per cent of respondents to a government consultation demanded a ban – wild animal circuses would be a thing of the past by 2015. 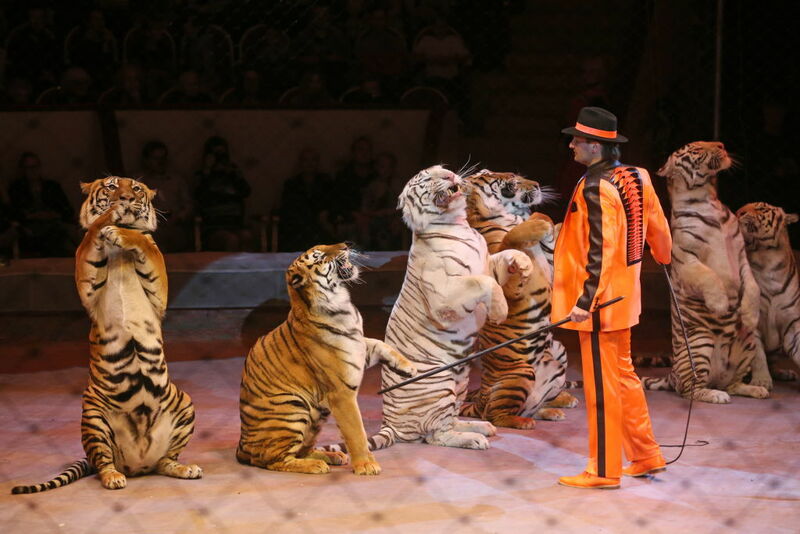 Hopefully this marks the final curtain for cruelty to circus animals here in England, it couldn’t come soon enough.